Apple's next iPhone to use Samsung processors? | What Hi-Fi? Apple's next iPhone to use Samsung processors? The smartphone market is no stranger to fierce competition between the major manufacturers, with the likes of Apple, Samsung and others battling to introduce the next "must-have" flagship handset. It's with that in mind that you might raise an eyebrow to a report from South Korea's Maeil Business Newspaper, which claims that Samsung could have a role in the success of Apple's next iPhone. According to the newspaper, Samsung Electronics has been signed up by the Cupertino giant to be the main supplier of processors that'll be used to power the next generation of the iPhone. It's believed that Samsung will be responsible for around three-quarters of the chip production – but it's not clear how much that contract will be worth and nor do we know who'll provide the rest. The newspaper cited anonymous sources within the semi-conductor industry, although Reuters has reported that neither Apple nor Samsung have confirmed the reports at this stage. 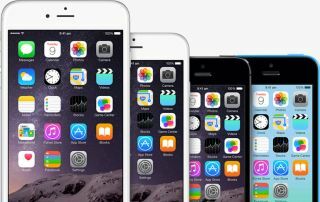 Apple will no doubt have high hopes for the next iPhone, with the latest – the iPhone 6 – picking up a Product of the Year gong at our Awards 2014. But which device will come out on top in 2015?